Qualcomm unveiled in February succession to its line of processors for midrange. The relief came the famous Snapdragon 615 as 618 and 620 . Two models are now renamed to ‘reflect the advanced performance’ they provide, according to Qualcomm. 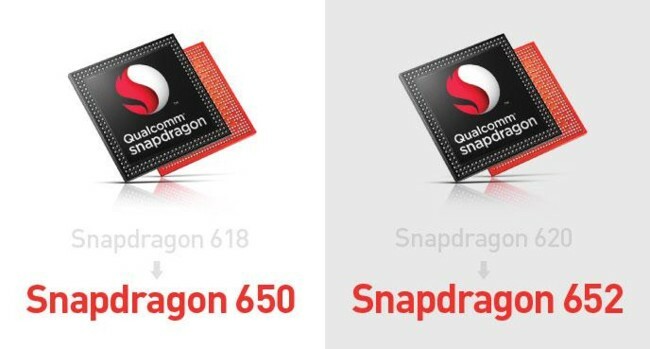 now called Snapdragon 650 and 652 . The novelty of these processors is the new architecture of ARM. core Cortex A72 are those who see in the next generation of high-end processors. Using them in configurations six- and eight cores, next to LTE Cat 7 (300 / 100Mbps), have to rethink its manufacturer name. and two processors This is very promising, and may deserve a name change. The confusion can now elsewhere: the four lines of branded processors (200, 400, 600 and 800) do not go together, so do not respond in their second digit to a strictly chronological order. Who knows if we could see the successor to the 820 Snapdragon termed as 850 instead of 830 to match the nomenclature again. These processors have a pint great for almost any type of phone line below the 400 euros. The only weird thing is that the most powerful model, the Snapdragon 652, does not share the support Quick Charge 3.0 yes incorporates 650. To complete the chipset with a graphic module Adreno 510 and all the suite own brand connectivity, including support standard Wi-Fi ac, but do not dare to the next Standard ad, which is taken exclusively Snapdragon 820. News Qualcomm renamed two of its processors to make them look ‘more advanced’ was originally published in Engadget Android by David Ortiz .